The manufacturer specifies that AxyS is built in different variants, sometimes at customer's choice, and it is available with three or four spiders and anti-condensation system for the secondary mirror. 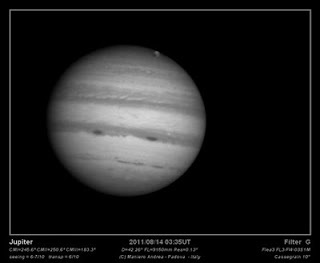 In the Cassegrain 250 mm f/15 was used the three spiders version as it was found to be the best suited for high-resolution applications, while the anti-condensation system was not installed since the glass is housed well inside the telescope and not affected by mist problems. Accordingly, two fundamental elements of this optical tube assembly were examined: the primary mirror cell, fitted as standard on all instruments of this diameter; and the secondary mirror support, also this fitted as standard on all instruments of this diameter. It is worth dedicating a few words about the optical tube assembly of the Cassegrain 250 mm. As can be seen from the image above, it is constructed with a carbon fiber truss system, marketed under the trade name of UnitorK 25, consisting of eight tubes held in position at the ends by ball joints mounted on alloy terminals, all suitably fixed on flattened bearing rings. A double end ring is indispensably used to support the spiders tensioners, so that no force will be able to deform the optical tube structure. In this way, the collimation is more accurate and immediate. The eight-tube carbon fiber truss system represents the lightest and strongest solution ever. There are no sign of torsion or bending of the structure, which is further reinforced by the dual rail (always in high modulus carbon) that supports the Losmandy bar connecting it to the frame. The dual rail tubes, always in high modulus carbon fiber, are additionally reinforced by having a thickness greater than those of the upper truss system. The tubes are produced by NortheK according to a proprietary design and are not derived from products available on the market. The inner carbon tube cover is at customer's choice, as it can be fitted or not. In fact, it has no structural purpose other than protecting the optics (in addition to a metal cap supplied as standard) and it can be easily slided out by removing the primary mirror cell. The manufacturer has not made ? ?use of any carbon honeycomb material due to its lesser structural strength and reduced thermal properties. Moreover, an optical tube made of honeycomb material poses some problems of residual stresses at the metal-composite interface, which solution is not very cheap. In contrast to other manufacturers, NortheK has chosen its own way, more rigorous and complex to optimize, but certainly more functional and innovative, even if more costly. During the nearly two years of tests, the Cassegrain 250 mm has shown to be able to always and consistently work at the limit of its technical capabilities set by its diameter and focal ratio, with the only variable being that of the sky conditions (seeing and transparency); and this is not a minor detail. How many, even larger, telescopes – besides raising issues of transportability – remain unused for many evenings..... It is worth reminding that the instrument is highly-portable without any fears or worries and it can be easily carried around on the back seat of the car without even putting it back in its case as its sturdy construction is not at all affected by this kind of use. In fact, a good a telescope can only be truly assessed when pushed to the limits of its possibilities, and constant photographic observations at f/30-40, as well as continuous star tests have confirmed the validity (and the optical quality) of the design. 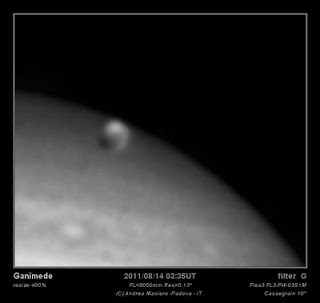 Very telling is this Ganymede obtained by resizing a wider field image. Even though taken with low average seeing, it does nonetheless show that the entire system works perfectly well and in the best possible manner even when the instrument is pushed to its limit. With a better seeing, also the result would obviously be better. 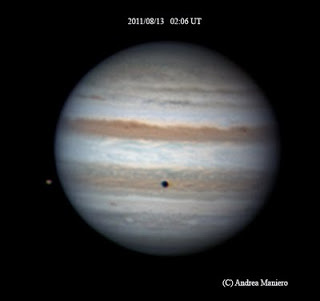 Here is a good quality picture obtained with low average seeing, when Jupiter was not in the best position to be photographed (Andrea Maniero – 13 Aug 2011). Another fine picture taken by Andrea Maniero in August 2011. In conclusion we can say that, even though this telescope is not for everybody’s pocket (the complete instrument used for the test costs about 8,200 Euros incl. 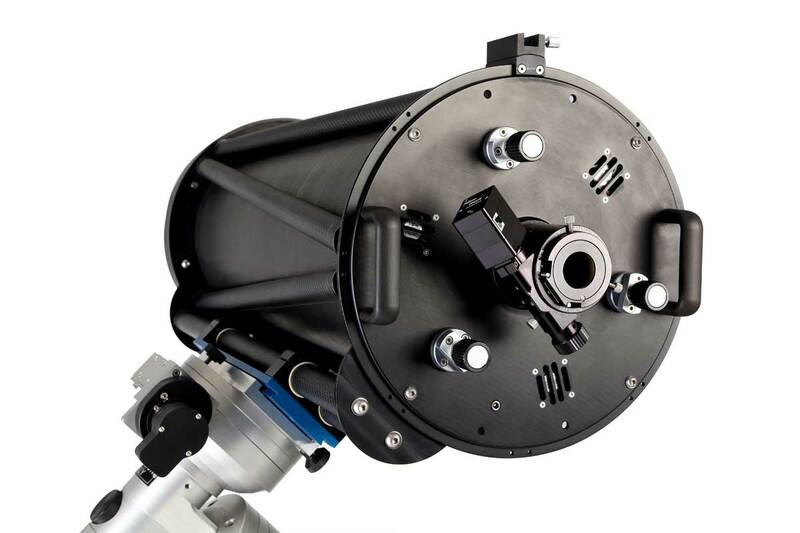 VAT, which is perfectly in line with what is offered on the market), the NortheK Classic Cassegrain 250 mm boasts advanced technical solutions, all key characteristics for a definitive telescope that for many years will not make feel the need to be replaced if not for an instrument with a much larger aperture of at least 100 mm or more. The telescope can be obviously tailored to suit the customer’s requirements. It is important to note that even for such small instruments the manufacturer has focused on the rigorous quality of the technical construction, while innovating where possible with the aim of offering a product that stands out from the more or less copied and repetitive offers available on the market. Article published in an abridged form in “l’Astrofilo” magazine on December 2011 and shown here in its entirety.